Use the following form to search for a particular genus or species in the photo database. Type either a genus, species, or both in the fields below and click "submit" to view the results. 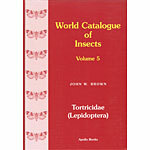 This page will return photos of type and non-type specimens. You can search on partial text matches, for instance entering "pulche" in the species field will return both Acleris pulchella and Dichelopa pulcheria.